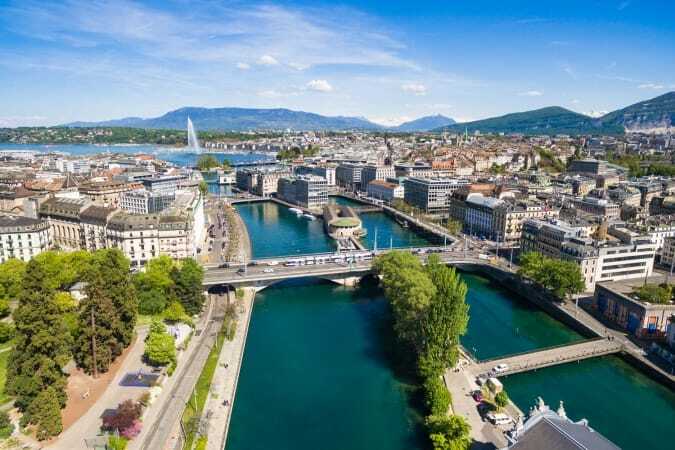 Not only is Zurich an impressive and entertaining city to visit, but it’s also a great base from which travelers can unlock the rest of the country. 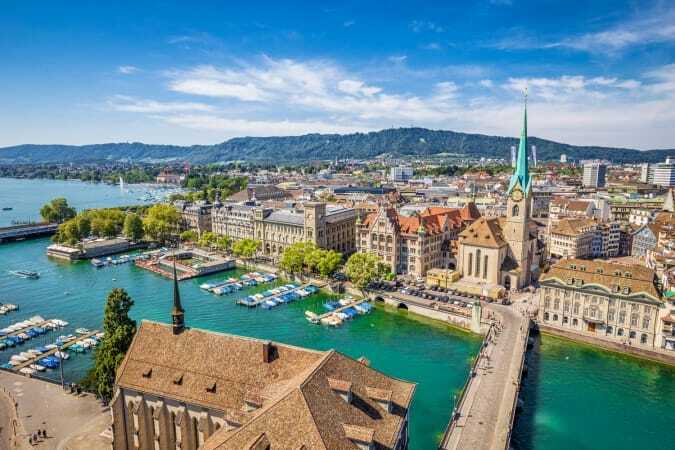 Once you’ve spent a few days exploring Zurich itself has to offer, it’s time to look to more of the best places to visit in Switzerland for possible day trips. 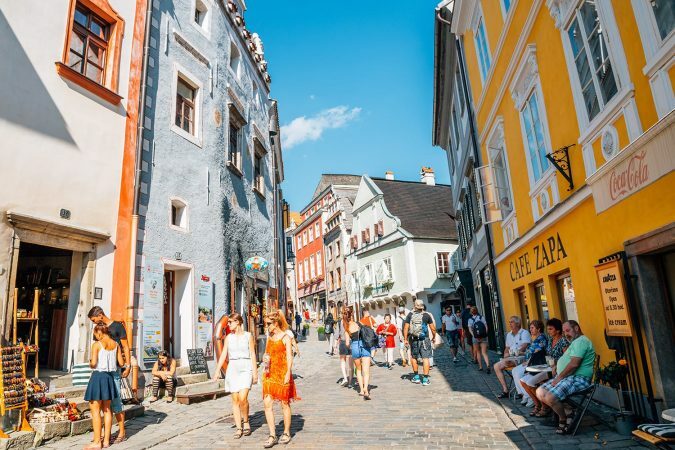 With great train connections and plenty of tours to choose from, you only need to travel a couple of hours from Zurich to arrive at some fantastic and diverse destinations. 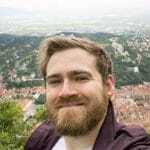 These include journeys up into the Swiss Alps, time by the country’s many lakes, and walking the streets of some world-class cities. No matter which you choose, the best day trips from Zurich won’t leave you disappointed. 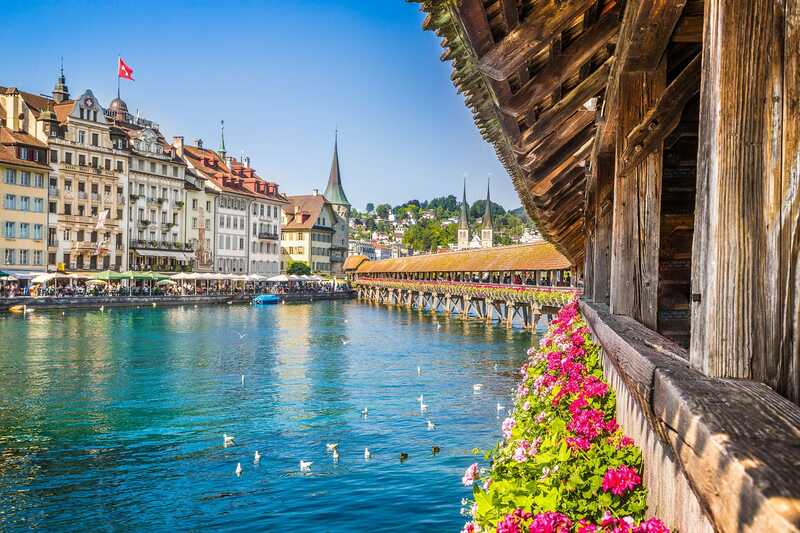 There’s little doubt that one of the best places to visit from Zurich is the delightful city of Lucerne. A visit to this lakeside city in central Switzerland is a must for those coming to the country for the first time. With Lake Lucerne sitting right by the city center and the epic Alps looming in the distance, there’s no denying the scenery of this city. Lucerne’s most well-known sights though are found in the old town which lines the Reuss river. There you’ll find the city’s iconic wooden Chapel Bridge which is lined with flower boxes and decorated with historic paintings. 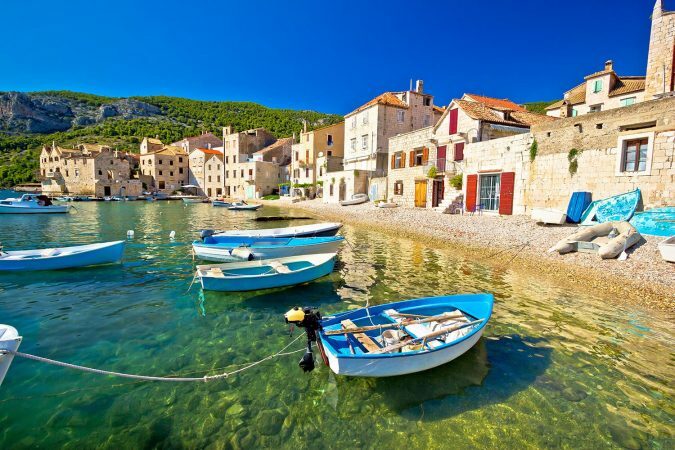 Further into the streets of Old Town you’ll spot traditional buildings adorned with frescoes. Going even further out, you’ll find other attractions such as the old city walls which offer stellar views, and the moving Lion Monument. 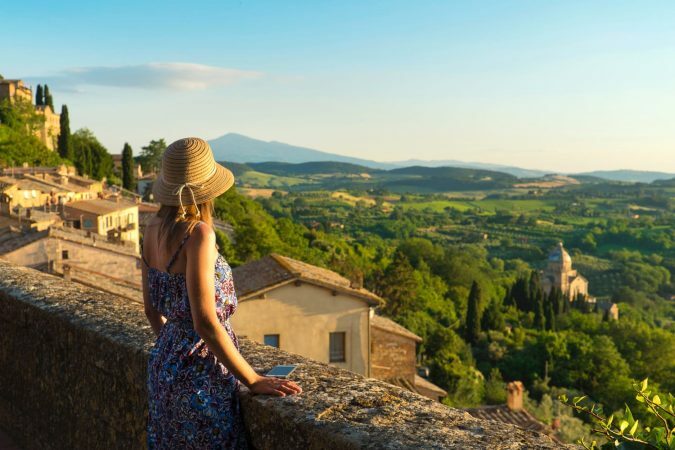 Plenty to take in with this great day trip away. Getting there: Regular trains connect Zurich with Lucerne and take just 50 minutes one way. Lucerne is also a convenient place from which to explore the Alps, Mt Pilatus is very closeby. 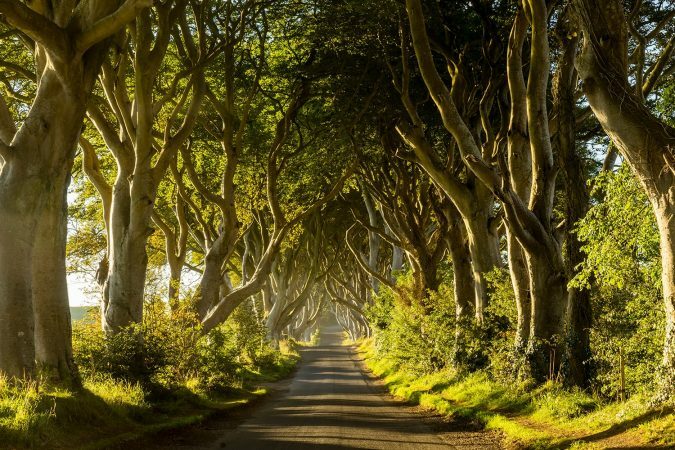 To make the most of your day away it’s best to take a day tour, both for timing and ease of transport. Another major Swiss city which entertains visitors is Bern, the country’s capital. 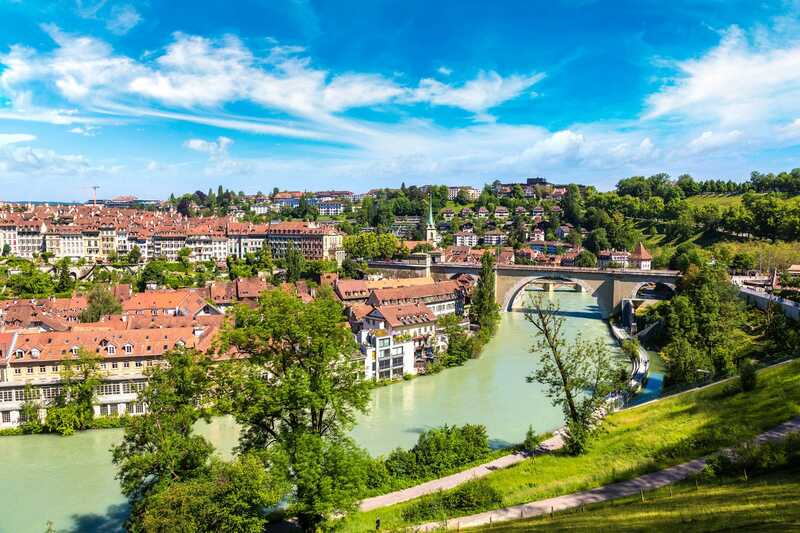 One of many easy train trips from Zurich, visiting Bern will show you that not all the cities of Switzerland are quite the same. 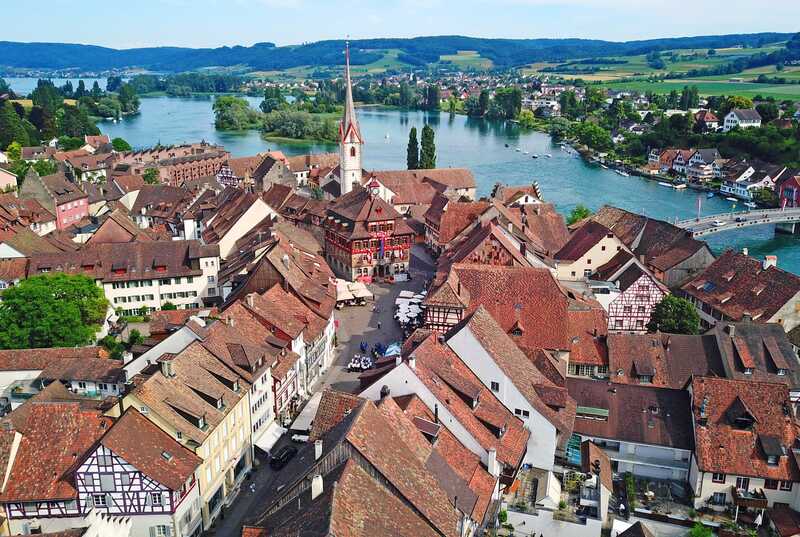 The best place to start is with a walk through the UNESCO-listed Old Town, take in the city’s Zytglogge clock tower, and not far away you’ll see the impressive sight of the Swiss Parliament Building and its terraces looking out over the Aare River. Crossing the river you’ll reach a cluster of the city’s museums, including the Bern Historical Museum and Einstein Museum. Following the river you’ll get one of the best views of the city from the view point just up from the city’s Bear Pit, a park with bears which are the symbol of the city. For culture and city scenery, Bern’s the place to go. Getting there: With various food experiences outside the city, a guided tour of Bern is a great way to add something more to your visit. As for public transport, trains from Zurich to Bern take about an hour and leave frequently. Whether you’re looking to spend some time on the slopes or experience the spectacular mountain-top sights, Mount Titlis is one of the best day tours from Zurich. 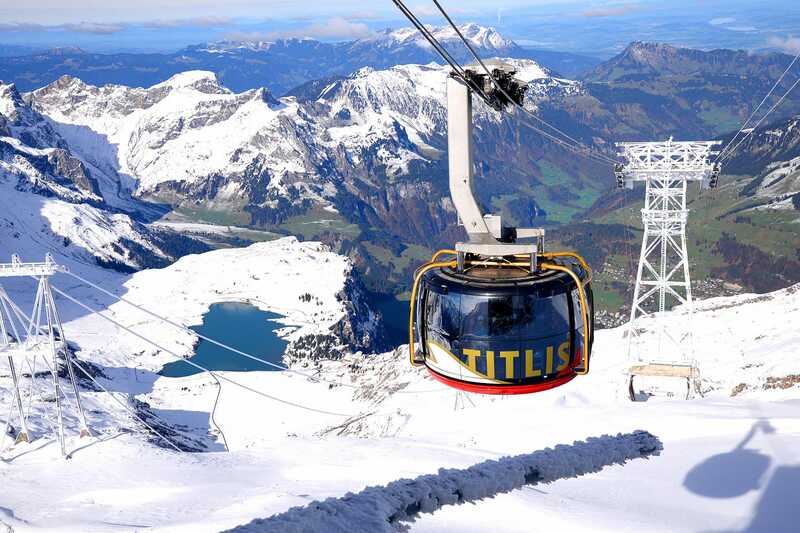 Raising up over 3,000 meters, Titlis is one of Switzerland’s most impressive mountains. 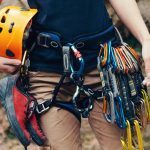 Those looking for an active visit can go skiing and snowboarding in winter and go hiking and mountain biking come summer. But there’s plenty of sightseeing too, with the Titlis Cliff Walk suspends you 500 meters above the ground and the Glacier Cave, where you can walk through a 5000-year old glacier. Even getting to the top of Mount Titlis is special, as the TITLIS Rotair cable car actually revolves as it takes you to the summit. Plus, don’t forget the views from the top that let you look out over the Alps and the nearby glaciers, best enjoyed at the panoramic restaurant. Getting there: Hopping aboard a tour to Mount Titlis takes the stress out of getting there as well as getting from one place to the next. To get there on your own is a 2 hour 10 minute train journey through Lucerne, which brings you to Engelberg at the foot of the mountain. Switzerland is known for its many gorgeous Alpine towns, yet there are towns worth visiting elsewhere in the country too like Stein am Rhein. Sitting flush against the German border, right along the Rhine River, this small town tucked away from the mountains is full of medieval charm. 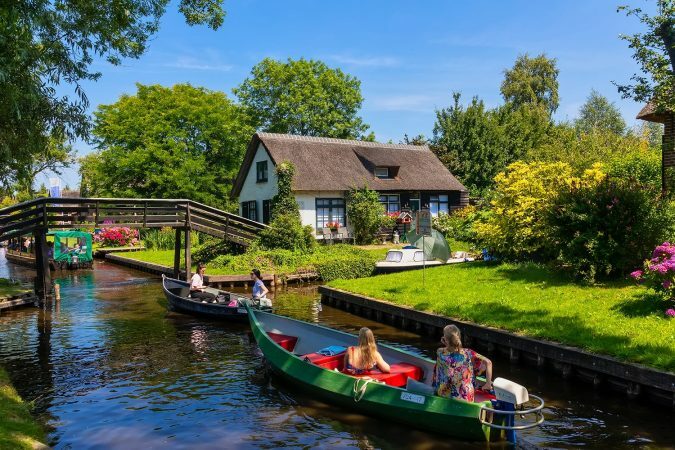 Inside this pretty riverside town, you’ll come across plenty of quaint half-timbered houses with beautiful bay windows and others with frescoes painted on their facades. Walking under guild symbols hanging in the streets, it’s easy to imagine what Stein am Rhine was like centuries ago because it simply hasn’t changed. 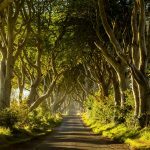 Aside from seeing the town, the riverfront, and each of the town gates, also seek out the Renaissance murals in the St George’s Abbey, as well as other museums in town. Getting there: Stein am Rhein is only a 1 hour 30 minutes train ride from Zurich with very frequent connections. However, if you’re looking to better understand the town or visit other nearby destination as well, a guided day tour is the way to go. It may not be one of the best-known Zurich day trips, but a trip to the village of Appenzell introduces you to the delights of rural Alpine life. Way out in eastern Switzerland Appenzell is set among beautiful green rolling hills and the mighty Alps, the scenery which many people think of when they think of Switzerland. In the village, you’ll see plenty of gorgeous traditional Swiss houses as you pass under flags and banners draped everywhere. To get to know the culture and customs here a little, head to the Museum of Appenzell or sample local baked goods and cheeses. Out in the nearby Appenzell Alps you’ll find Ebenalp, whose cliffside restaurant at the former Aescher Guesthouse you’ll probably recognize from countless spellbinding photos. 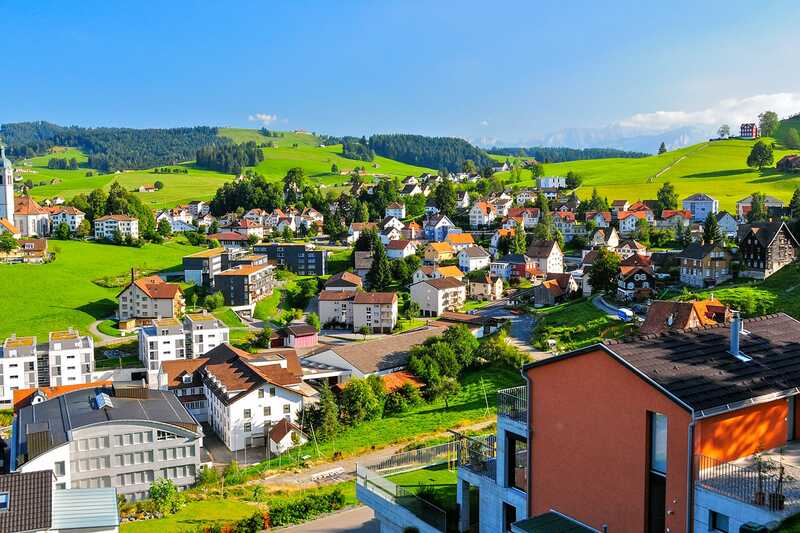 Getting there: The best way to fully appreciate the customs and character of Appenzell is with a guided tour that shows you the best spots around the village. Getting there on public transport means taking a regular train via Gossau which takes a bit over 2 hours. 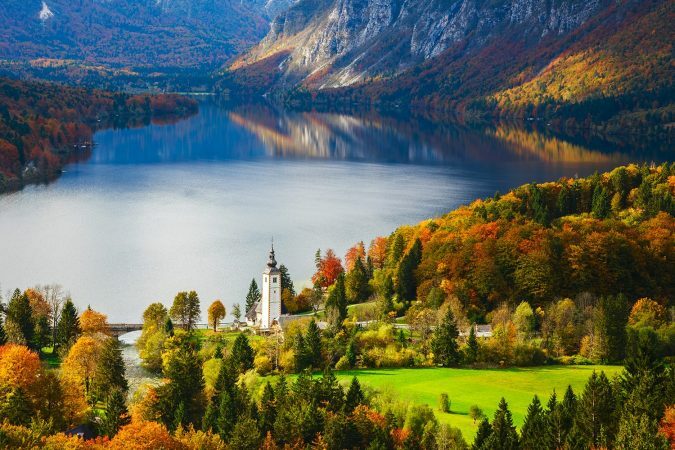 The Rhine is one of Europe’s most adored rivers and in Switzerland it plays an important role as it forms much of the northern border and is also home to several of the day trips on this list. Just outside the city of Schaffhausen and with Schloss Laufen overlooking them, the Rhine Falls are officially the largest in Europe. It’s possible to take a boat out to the rocks in the middle of the falls so long as you don’t mind getting wet. Otherwise, you can admire the falls from both sides of the river, either looking up at the falls as they rush past, or across them to the castle above. 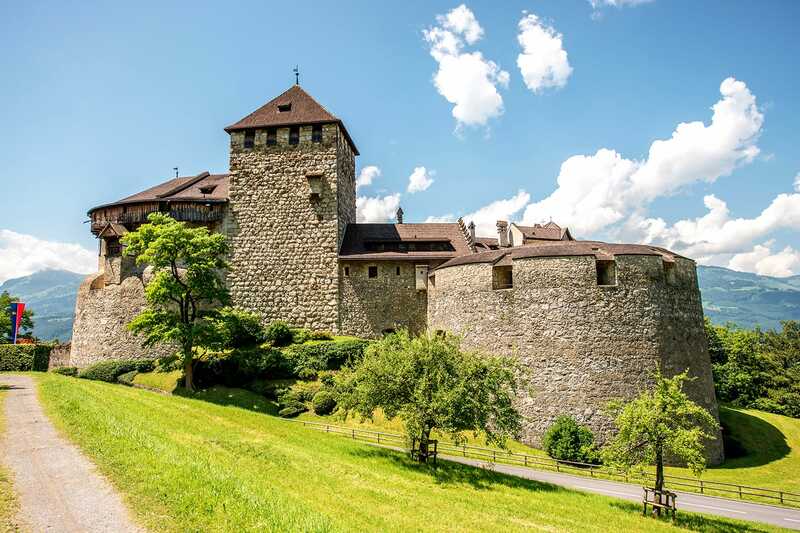 After visiting the falls, you can carry on to the city of Schaffhausen just up the river and visit the large Munot Fortress there. Getting there: Getting to the Rhine Falls couldn’t be easier with regular trains getting there in under an hour. 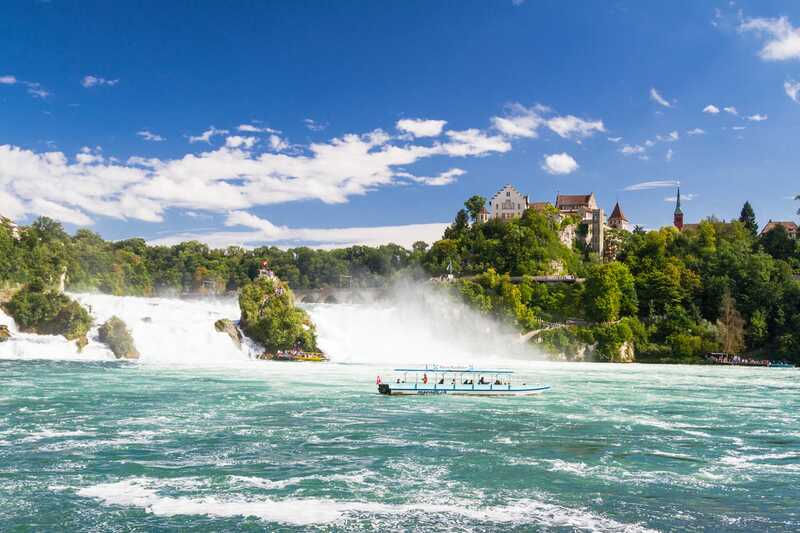 To combine the Rhine Falls with other destinations in a single day, a guided tour is a more straightforward way to go. Rather than visit just one place on a day trip, a great pairing of things to see in Switzerland outside of Zurich is the duo of Grindelwald and Interlaken. Despite being close together, these two destinations in the Bernese Oberland are remarkably different which is definitely part of the appeal. 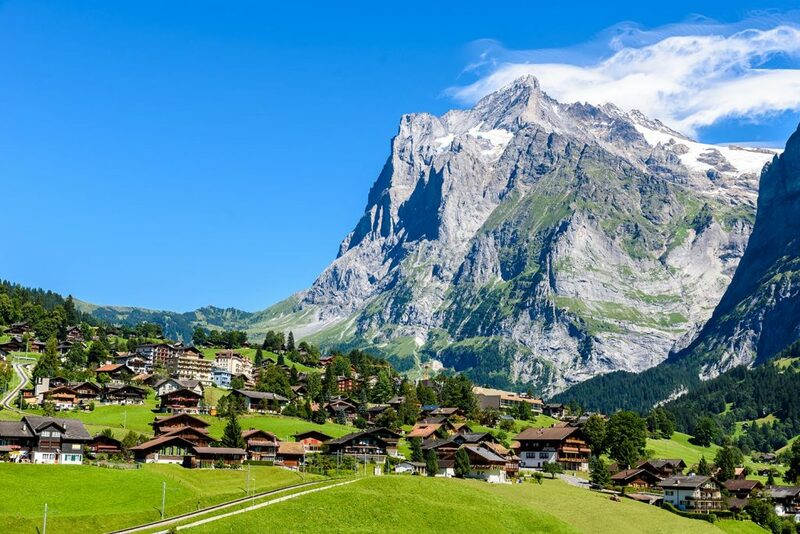 Grindelwald is a charming alpine town which sits below Mount Eiger. 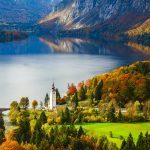 Incredibly popular, the town boasts gorgeous surrounding mountain scenery and plenty do, as visitors can go skiing in winter and hiking or mountain climbing in summer. Down away from the mountains lies the resort town of Interlaken which is wedged between Lake Thun and Lake Brienz. Although it bears quite a traditional look, Interlaken is best known for its Höheweg shopping promenade and various adventure activities like canyoning and paragliding. 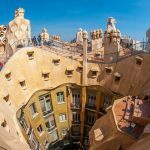 Getting there: The best way to combine these destinations is by taking a guided tour as they’ll help you fit it all in one day. Getting there on your own however involves taking a train to Interlaken via Bern and then hopping on the special train up to Grindelwald. 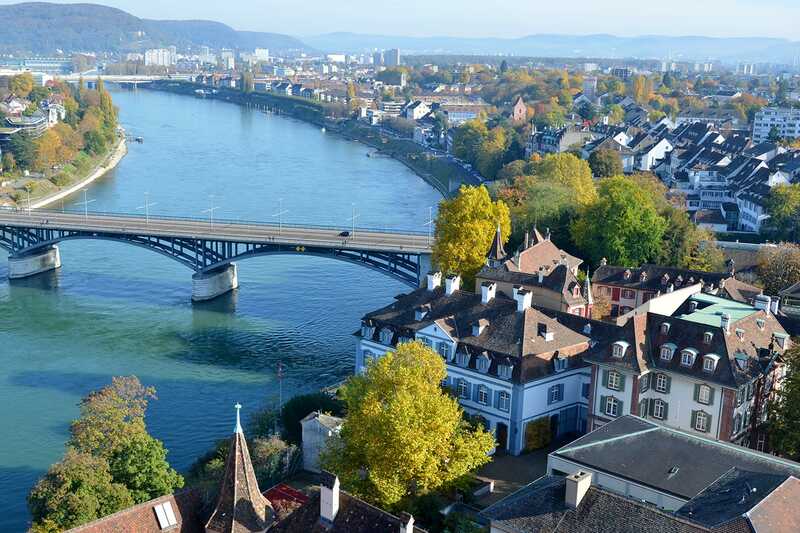 One city in Switzerland that doesn’t seem to get much love is the northern city of Basel. It’s surprising, because there’s plenty to do on a day trip there. A great place to start is with the strikingly red Town Hall in the middle of Basel’s medieval Old Town. From there it’s worth a walk out to the majestic Gate of Spalen, one of the remaining tower gates from Basel’s ancient city walls. You should also go and admire the city’s riverfront, best done from out on the Middle Bridge. As a city of culture, you won’t want to miss some of Basel’s many museums, with the Fine Arts Museum and Natural History Museum being some of the best. A stop at the Basel Minster, the city’s large Protestant church, is also worthwhile. Getting there: Frequent trains connect Zurich with Basel, only taking an hour to make the journey. If you’re looking to combine Basel with a venture into neighboring France or Germany however, you’ll want to take a private tour. It’s difficult to miss Lake Zurich while you’re in Zurich, but other destinations are also found on its shores, like the town of Rapperswil-Jona. Dubbed the “Town of Roses”, Rapperswil is a picturesque town at the end of the single bridge which crosses the lake. In town, the narrow pedestrian streets are lined with traditional houses each with a window box full of roses. Past sights like the Unteres Curtihaus and main square, you’re led up to Rapperswil Castle which looks out over the lake from its hilltop perch. Along with lake views and castle scenery, there’s also a small park full of deer which help give the castle area quite a relaxed, welcoming atmosphere. Down on the lake there are long wooden boardwalks which take you out along the lake, looking onward towards the Alps in the distance. 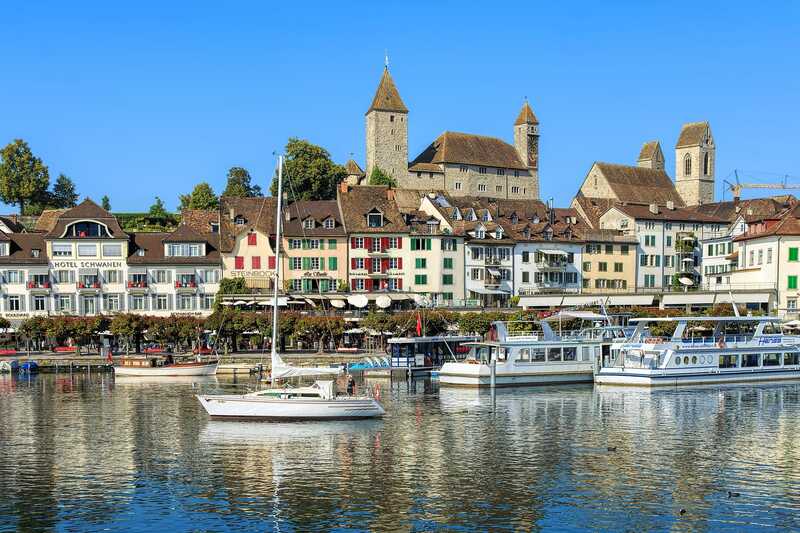 Getting there: While it may take only 30 minutes to make this short trip from Zurich by train or car, taking the slower ferry to Rapperswil is the most popular approach. On the ferry you get to enjoy all the lakeside scenery and the gentle journey across the water. It’s not every day that you get to take a day trip to another country but visiting Liechtenstein from Zurich is definitely possible. 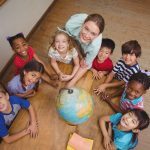 As Switzerland’s small neighbor, the idea of going to Liechtenstein can be a bit of novel fun, and add another country to your list. But there are actually sights to see if you head for the capital of Liechtenstein, Vaduz. Really only a town, Vaduz still has a few sights. Walking through the town center, you’ll see several intriguing statues on the pedestrian street which runs from the Town Hall down to the stately National Archive. Nearby the Vaduz Cathedral and it’s neo-gothic architecture makes quite an impression. Saving the best till last though is the sight of Vaduz Castle sitting on the hillside above the town. As it still serves as the residence of the Prince’s family, you can’t enter the castle but it’s nice to admire it up close. Getting there: Driving will certainly be your best option for reaching Vaduz and Liechtenstein, as it takes around 1 hour 10 minutes to get there from Zurich. Going by train on the other hand can take up to an hour longer, though there are regular connections. As you can clearly see, the best side trips from Zurich take you across quite a bit of the country. Each also manages to show you a different side to Switzerland which is great if you have time for more than one trip.